Book a talented photographer to capture the moments during your child’s party, event or special occasion. We’ve found the best kids’ party photographers in MD who will produce high-quality and professional prints while capturing the essence of what makes them unique. For even more kids party photographers and videographers based in Maryland, visit KidsParties.Party. Picture People‎ is one of the finest photo studios of MD. They offer quality photographers in Maryland to celebrate your events especially for kid's party photographers they are really awesome. To capture the moments of your family or kids they are the best, in-fact they have talented photographers to capture your best moments. The studio in-fact offers to capture the memories of your lifetime. People of MD that would love to capture their happy moments may contact them. People may also visit their webpage for more details. 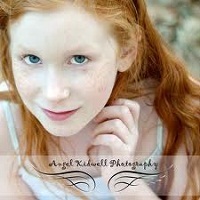 Angel Kidwell Photography is well-known especially for kid's party photographs and for the photographs of new born babies. She also offers photos of weddings and several memorable occasions. To capture the pictures of your child and to give your child a memorable moment Angel is really awesome and offers the best quality pictures for you. Angel is one of the best photographers of MD. You may contact her through phone or may find-out more details through her webpage. J Hurst Photography is well-liked by all. Especially around MD the photography by J Hurst is very popular. 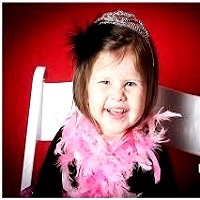 He offers quality photos for any occasion in MD and specializes in kid's party photos. To celebrate your kid's birthday or any other occasion and to capture the fun-filled moments of the occasion J Hurst is amazing. People in MD searching for a good photographer especially for kid's parties may contact him. People can also visit the webpage of J Hurst to checkout detailed info of the photographer. Photography is a wonderful profession and JM Photo Booth is among the finest photo studios of Maryland. They provide talented photographers to capture the finest moments of your life. Kid's party photographers in Maryland is the specialty of JM Photo. In-fact they offer photos for several events and parties. People that want to capture their happiest moments may hire them. JM Photo has talented photographers to graph the best pictures. You may contact them to get the best photography. Amy Deputy Photography offers kid's party photographers, wedding photographers, portraits and much more in MD. Amy is one of the finest photographers of Maryland. People love to capture their smiling moments Amy is an awesome photographer for them. Amy is even a skilled photographer ensuring lovable photos for her clients. If you want to celebrate any event or want to celebrate your kid's party you may contact Amy. People that want to hire talented photographers may contact Amy. In-fact you may visit her webpage to enjoy her photography. Nicewander Photo is a well-known photo studio of MD. You may contact them Monday through Friday from 9:00 am to 6:00 pm. Nicewander offers excellent photos and talented kid's party photographers for your occasions in Maryland. Especially for kid's occasion they are really good. In-fact they offer wedding photography, portraits even photos for any other occasion. They have a lot of professional photographers that you may hire for your events. They have their official webpage which you can contact them through. Wickes Photography offers the best photography. They are not just professional photographers taking still images. They even enjoy capturing the smiling faces of people as they participate in activities. Especially for kid's party photography and for portraits they are really amazing. 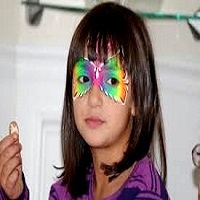 Besides kid's party photography they offer photography for modeling, weddings and much more. Wickes is one of the best photo studios of MD. People of MD that need to hire photographers may contact them or may visit their webpage for more details. 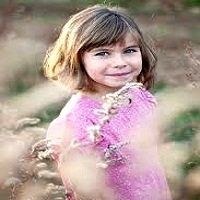 Anna Elliott Photography is famous around MD especially for family photographs even for kid's party photographers. The photography LLC is owned by Kristin L. Goldscher. They offer photographers for several occasions like weddings, parties even for portraits and for many more events. People looking for photographers may contact them. Anna Elliott offers the best photography to their clients. People that need to hire photographers can visit their webpage for more details or may contact them for pricing. Laura Black Photography is liked by all mainly for providing kid's photographers in MD Laura Black is really amazing. Laura is even a wonderful portrait photographer well-known for kid's portrait photographs. People love to hire Laura for kid's parties especially because of her friendly behavior with kids and for her wonderful photography. If you need someone very friendly as your kid's party photographer you may contact Laura. In-fact Laura is wonderful for wedding photographs and for any other occasion. DEL Photography offers photographic services for kid's parties, weddings, holiday parties and for any other occasions. DEL is even a well-known photography studio all around Maryland. They offer photos for different occasions, especially when it comes to kid's birthday party photographers they are the best in MD. If you need to hire a professional photographer for your kid's birthday you may contact them to ensure excellent photography. They are even specialized in portrait photography. DEL provides professional photographers and ensures wonderful photos for any occasion. For detailed info about the studio you can visit their webpage.